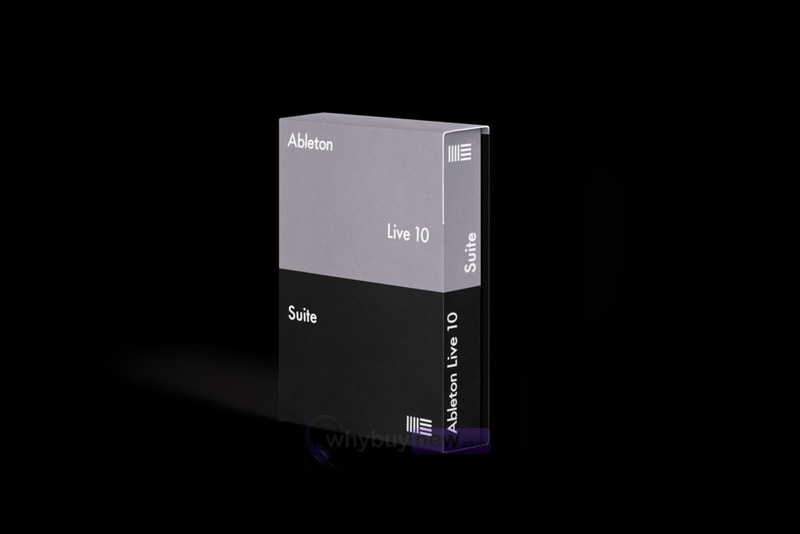 Ableton Live 10 Suite is the complete version of Ableton Live 10 and includes all the professional features that you need to start producing music with your production controller, MIDI keyboard or other DAW compatible hardware. 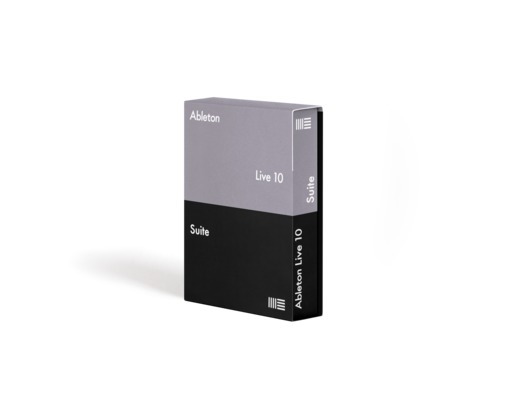 Ableton Live 10 Suite includes 13 fantastic software instruments, 23 sound packs, 34 audio effects and 16 MIDI effects all of which can be used and combined to create and produce the music you've always wanted to! Ableton Live 10 Suite has several features that are new for Live 10 all of which are listed and described below. Both the Boxed and Download versions are available to buy with Ableton Live 10 upgrade options from previous versions on the drop down list. The EDU version is for students only, you will need to prove your student status to use this version. Instantly select the right routing by labeling Lives inputs and outputs to match the instruments and hardware in your studio. Mix with greater flexibility process individual group elements, a subgroup or an entire bus. And manage Sets more easily; even with lots of tracks and a detailed arrangement, you can use multiple levels of groups to quickly fold tracks together for a simple overview. Lives interface has been updated to be cleaner and clearer with sharper graphics and refined colors. And a range of optimized themes improves visibility in all environments. A new range of sound packs captures the musical threads that tie together evolving styles and scenes. Each Pack is a curated selection of instruments, clips and samples that share a common sonic theme. Theyre ready to create with as they are, and are also set up with Macros or shaping into something completely new. Glitch and Wash explores the contrast of organic texture and precise rhythms. This Pack combines precision slices, jagged electronic noise and microscopic snippets of sound with warm ambient pads, textures and soundscapes ready-to-mix sounds designed for heavy tweaking. Punch and Tilt is a dancefloor-ready collection of sounds focused on machine rhythms, weighty bass and dark, hypnotizing melodies, textures and noises a rough sonic aesthetic that started with a small group of underground producers and has grown into a worldwide scene. Abletons homage to the style that made sampling an art form and put a new kind of groove on the musical map. Chop and Swing comes loaded with curated recordings and professional presets perfect for cutting up and re-combining into fresh new tracks. Drum Essentials includes a huge collection of classic electronic kits and hits. Drum Booth brings together all the acoustic drum and percussion sounds you need. Synth Essentials offers expertly programmed presets for Lives synths alongside multisampled racks of classic hardware. And Electric Keyboards brings the lush multisampled sound of electric pianos and organs to Lives instrument lineup. Using Max For Live is simpler, quicker and more reliable. Significant improvements under the hood mean Max For Live devices now load faster, use less CPU and feel more like Lives native devices. Some of Max for Lives most popular devices have had major upgrades. Drum Synths have been reworked with a complete sound upgrade and a broader sweet spot. Plus the new LFO and other control devices let you modulate up to eight parameters from a single device. Max for Live devices can now send and receive SysEx, allowing deeper access to synthesizers including full preset backup dumps, parameter control and more. Max for Live can also create custom control surfaces for custom hardware integration. Beat Tools by Ableton - With more than 120 Drum and Instrument Racks, over 180 loops for slicing, tweakable effects chains and more, Beat Tools has all the sounds you need for hands-on beatmaking especially with Push. Convolution Reverb - Capture the characteristic reverb of real physical spaces with advanced sound shaping. Drum Booth - New in Live 10 - Drum Booth contains carefully curated samples of acoustic kits recorded in a tight, dry room. Perfect on their own or as reinforcement for electronic drums, Drum Booth also offers unique post processing options and experimental recordings not possible with standard acoustic libraries. Electric Keyboards - New in Live 10 - Electric Keyboards is a new Pack featuring multisampled Fender Rhodes Suitcase, Wurlitzer A-200, and Hammond C3. Special attention was given to making this Pack sound as true-to-life and organic as possible. The result is characterful electric keys for any genre. Latin Percussion - A collection of acoustic percussion instruments such as congas, timbales, claves, shakers, tambourines and bells from the worlds of Brazillian, Afro-Cuban and African music. Multichannel Audio - Multichannel Panning device for surround mixing with multi-channel speaker setups. Orchestral Brass - A thorough set of vivid and colorful brass instruments. Features solo and ensemble French horn, trombone, trumpet and tuba, with a unique set of articulations in multiple section sizes. Orchestral Mallets - The true essence of symphonic percussion instruments in pristine quality. Features vibraphone, marimba, xylophone, crotales, glockenspiel, tubular bells, cymbals and timpani with a variety of articulations. Orchestral Strings - A comprehensive selection of naturally rich and dynamic stringed instruments. Features solo and ensemble violin, viola, cello and double bass, all record in their natural positions within the orchestra, complete with a number of articulations. Orchestral Woodwinds - Features a variety of clear and vibrant wind instruments. Includes solo and ensemble flute, clarinet, bassoon, oboe and English horn, with a broad spectrum of articulations. Retro Synths - More than 4,000 samples from the greatest classic synths of the past three decades, including rich bass from the Minimoog, acid squelch from the Roland TB-303, and the classic digital phase distortion synthesis from the Casio CZ-series. Synth Essentials - New in Live 10 - Synth Essentials expands the Core Library with fresh presets for Abletons synths and samplers. Created by top artists and sound designers, Synth Essentials makes it easy to find the sounds you need with no interruption to your creative flow. Build and Drop - New in Live 10 - Build and Drop is loaded with ecstatic leads, enveloping bass, slamming drums and a range of rises, sirens and sounds effects. A creative toolbox for building the irresistible anticipation and release this music uses to keep the party going. Glitch and Wash - New in Live 10 - This collection explores the contrast of organic texture and precise rhythms combining precision slices, jagged electronic noise and microscopic snippets of sound with warm ambient pads, textures and soundscapes. Drive and Glow - New in Live 10 - Drive and Glow combines swirling synth textures, overdriven guitars and basses and pounding drums. Carefully curated to be mix-ready out of the box, this Pack is perfect for creating tracks that radiate with saturated, indie vibes. Punch and Tilt - A dancefloor-ready collection of sounds focused on machine rhythms, weighty bass and dark, hypnotizing melodies, textures and noises a rough sonic aesthetic that started with a small group of underground producers and has grown into a worldwide scene. Session Drums Club - A multisampled library of acoustic drums that reproduces the nuances of a recording session. Features clear studio recordings of world-class drum kits, properly miked and ready to play. Session Drums Multimic - A session drums library that puts you in the engineer's seat edit the various mic positions and distances to get your perfect kit. Drum Essentials - New in Live 10 - Drum Essentials is a collection of handpicked sounds selected to cover a wide range of styles. A flexible, highly refined Pack to form the rhythmic foundation of any production. Grand Piano - The powerful expressiveness of a renowned concert grand in Live. Multiple articulations, sampled from a carefully prepared and programmed piano to capture the virtuosity of the classical grand piano sound. Guitars and Bass - A set of electric guitars and basses, expertly multisampled to cover different playing styles, velocities and articulations - from funky slap bass to gently strummed guitar chords. Skitter and Step - New in Live 10 - A sound collection that inhabits the space where growling basses, rinsing pads and jarring melodies collide with jagged, broken percussion. The cavernous spaces, dubby basses and tight drums are ready for production but were designed for deep sound manipulation. Vinyl Classics - Over 400 loops and samples from Zero-G in a wide range of styles, including smooth '70s grooves, gritty hip hop and edgy, abstract weirdness. Loopmasters Mixtape - A set of samples and loops from Loopmasters, from synthesized sound design to acoustic drums and founds sounds. Features content from Partners such as Puremagnetik and Soniccouture, and Loopmasters' artist Pack sounds from artists such as Digable Planets, Coldcut, Todd Terry, and more.- Build and Drop is loaded with ecstatic leads, enveloping bass, slamming drums and a range of rises, sirens and sounds effects. A creative toolbox for building the irresistible anticipation and release this music uses to keep the party going. Analog - Emulates the unique character of vintage analog synthesizers. Collision - Physical modeling instrument for authentic mallet percussion sounds and creative percussion. DrumSynths - 8 devices to create unique drum and percussion sounds using synthesis. Electric - The sounds of classic electric pianos. Operator - A versatile synthesizer combining frequency modulation and subtractive synthesis. Sampler - Sampling instrument with multisample playback and import as well as profound sound design options. Tension - Physical modeling string synthesizer. Wavetable - New in Live 10 - Immediately playable, infinitely capable, Wavetable is a new synthesizer built by Ableton. Stretch, morph and shape a wide range of waveforms into a rich and vast sound palette. External Instrument - A tool for integrating your external hardware synthesizers into your Live Sets with the ease and flexibility of plug-ins. Amp - Emulates the sound and character of seven classic guitar amplifiers. Cabinet - Emulates the sound and character of five classic guitar cabinets. Corpus - Simulates the acoustic characteristics of seven types of resonant objects. Echo - New in Live 10 - The sound of classic analog and digital hardware delays in a single device. Pedal - New in Live 10 - Brings the analog character of overdrive, distortion and fuzz stompox effects. Dynamic Tube - Tube saturation for added harmonics and warmth. Drum Buss - New in Live 10 - A one-stop workstation for drums, capable of adding warmth, distortion, drive, compression, transient shaping, plus a dedicated low end section. EQ Eight - Eight parametric filters with a variety of controls for shaping timbre. External Audio Effect - A tool for integrating your external hardware effects into your Live Sets with the ease and flexibility of plug-ins. Filter Delay - Three delay lines with independent filtering, feedback, stereo position, and more. Frequency Shifter - Classic frequency shifting and ring modulation, for effects ranging from subtle phasing to dissonant, metallic sounds. Glue Compressor - Analog-modeled compressor based on the classic bus compressor from a famous 80s mixing console. Multibrand Dynamics - Upward and downward compression and expansion of up to three frequency bands. Overdrive - Distortion effect based on classic guitar pedals. Resonators - Five parallel, tunable resonators that apply a tonal character to incoming audio. Spectrum - Realtime analysis and visualization of incoming audio. Vinyl Distortion - Emulates the noise and distortion of vinyl records. Vocoder - Classic talking synthesizer and robotic voice effects. Envelope - Trigger an envelope with incoming MIDI notes to modulate device parameters. Envelope Follower - Use the envelope of any audio material to control device parameters. Expression Control - A control device for pairing MIDI parameters such as velocity, modwheel, pitchbend, aftertouch, and keytrack with any parameter in your Live Set. LFO - Updated for Live 10 - An LFO with sync to modulate up to eight device parameters with one device. MIDI Monitor - Monitor your MIDI data stream. Note Echo - Generate echoes for MIDI notes with delay and feedback control. Shaper - New in Live 10 - A flexible envelope modulation device for creating custom modulation shapes. Capture - New in Live 10 - Recall your best ideas after you've played them Capture can turn what you played into MIDI clips, without having to think about recording. Max for Live - Updated for Live 10 - Powers a range of instruments and devices in Live Suite, and lets you customize or build your own devices, change the way Live works, and connect Live with the world around it. Complex Warp Modes - Advanced algorithms for stretching audio, ideal for working with mixed audio or full tracks. Audio-slicing - Slice audio to a Drum Rack or Sampler instance. Audio to MIDI - Extract harmony, melody or drums from an audio sample and convert it to MIDI. REX File Support - Support for ReCycle/Reason audio files. POW-r dithering - Mastering quality dithering modes for downsampling audio. Video import/export - Import video as a clip and save modified video and audio. Groove Pool and Extract Groove - A set of templates for timing and feel of sequences or make your own by extracting timing from existing audio material. Push - Push is designed to help you make songs from scratch. With Push you get all of the fundamental elements of music making melody and harmony, beats, sounds, and song structure at your fingertips. Because its powered by Live you still get all the advantages of software when it comes to editing, mixing, mastering, and exporting your finished track. 64-bit Intel or AMD multi-core processor. Intel Core i5 processor or faster recommended. Intel Core2 Duo processor. Intel Core i5 processor or faster recommended.